Opening Day was awesome! DBEDT Director Luis Salaveria gave us the VIP Opening Day Tour. 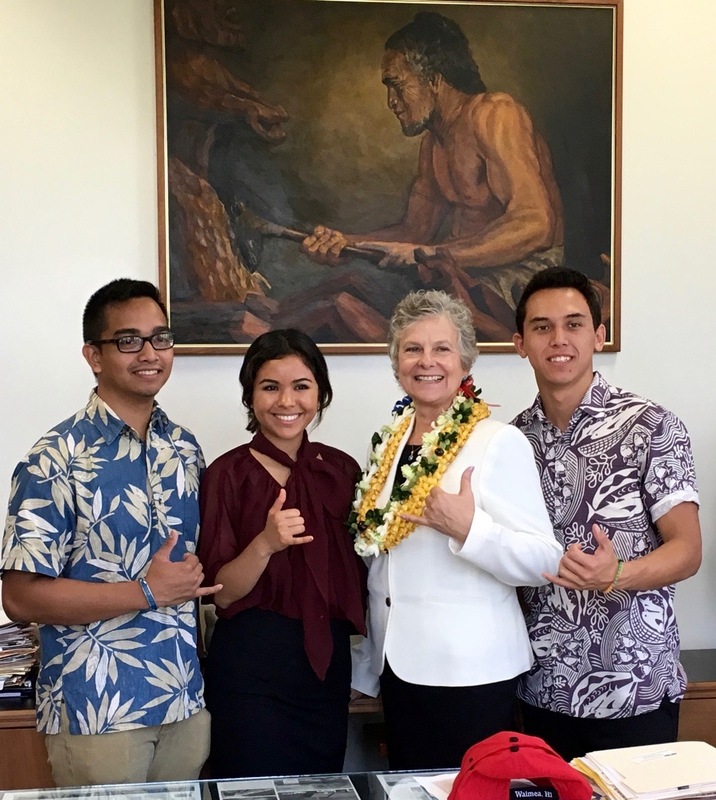 It was especially meaningful to meet our Hawaii Island Representatives: Mark Nakashima, Nicole Lowen and Cindy Evans . 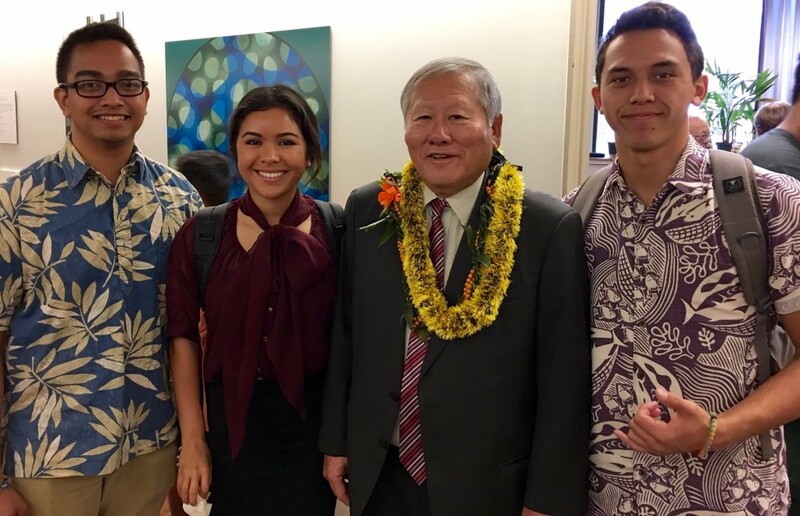 We usually only get to see Governor Ige or Oahu government leaders. It was great to meet the people who are making a difference for our communities. I liked giving everyone SHYLI's cool materials. We made a big contribution in a little package. 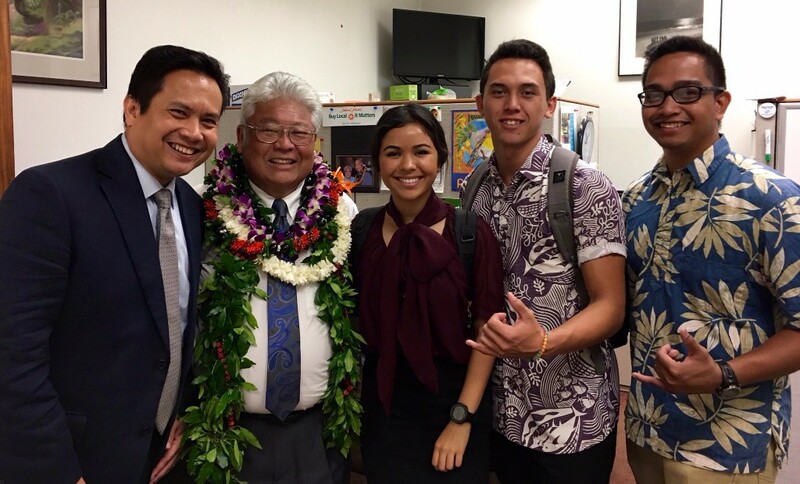 We're excited that Hawaii Island Representatives are now in major leadership positions. 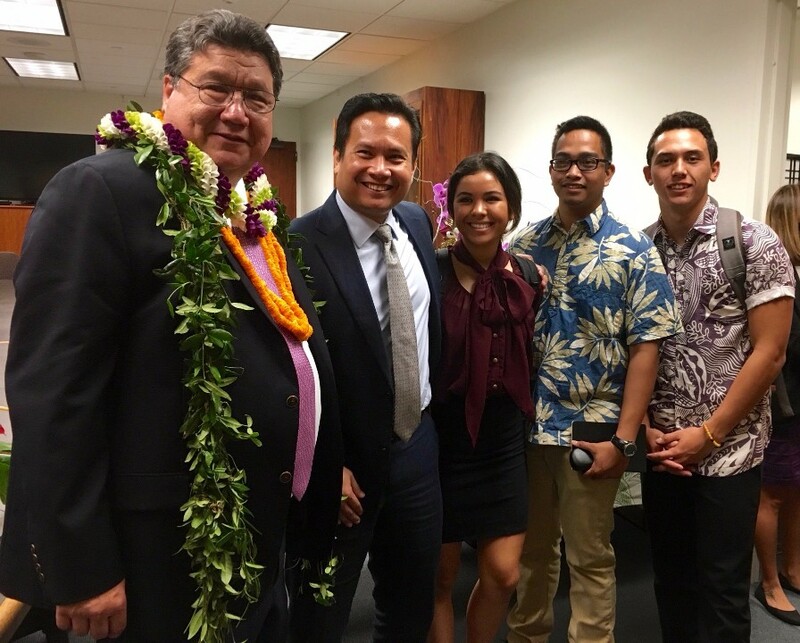 We look forward to supporting them with their goals of providing more opportunities for Hawaii Island, especially for young people. I was proud to present them with the Sustainable Resolution Education Toolkit GIA. As Trevor's representatives with SHYLI, we are all fighting for the sustainability movement. 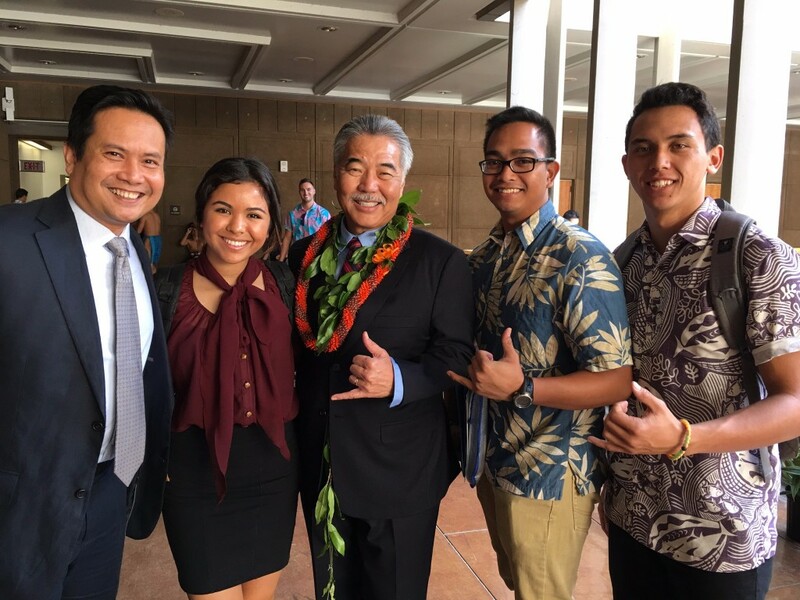 Opening Day at the Hawaii State Capitol proved to be nothing short of the genuine aloha you could find yourself amidst while in your hānai or "aunty's" or "uncle's" house. 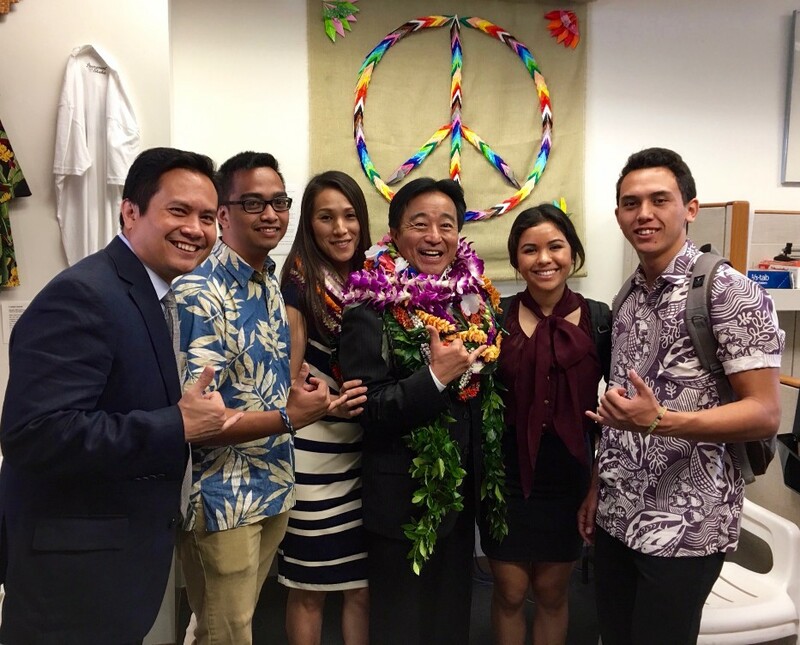 While the exchange of hugs, smiles, and laughter is a common occurrence in most households in Hawaii - it is rare to see in politics. The image of affection is not the initial thought most people have of today's political world. 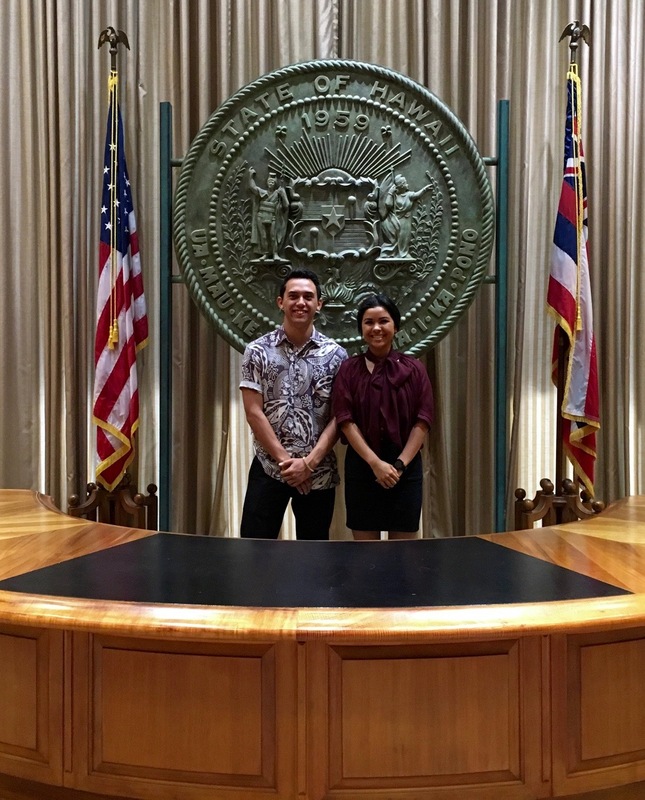 The Hawaii State Capitol building itself acted as an undercurrent emphasizing the aspect of openness. It also retained a symbiotic relationship between the land and its people. Seemingly built on stilts, the building sits above an open courtyard where students gathered in a circle, pounding poi. People wearing native Hawaiian attire shifted about, weaving through the area enclosed by the stilts as the day persisted. Like the courtyard's openness, the doors of the politicians' offices were all ajar as well. The scent of leis yawned through the halls and I was struck by the way politicians were joyous to meet everyone and anyone who happened to cross them. 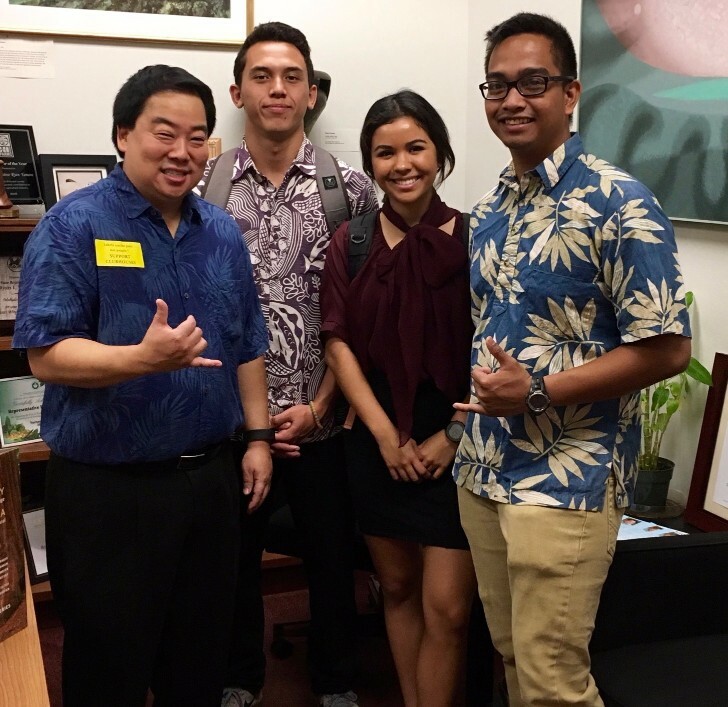 It was a great honor to be invited to the Hawaii State Capitol to meet the political members who are running Hawaii's policies. 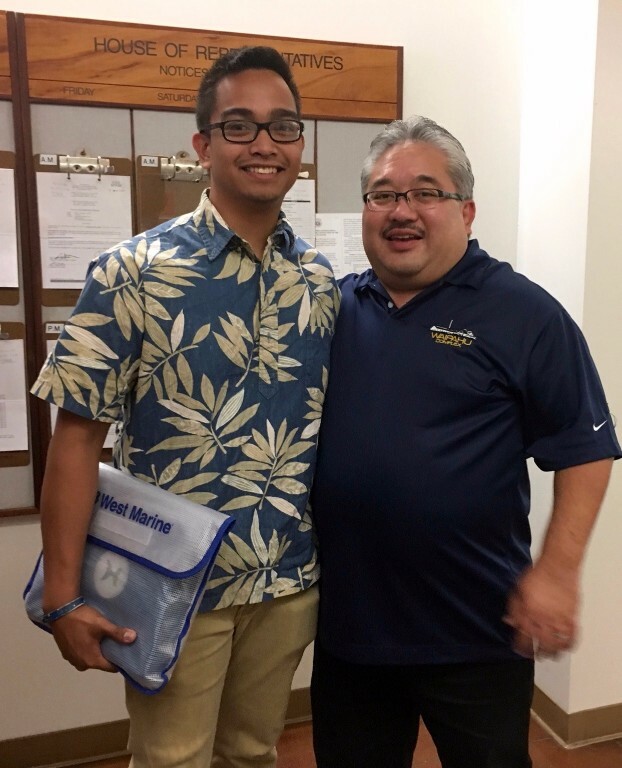 I especially enjoyed meeting my own Representative Ryan Yamane - and seeing my former Waipahu High School Principal, Keith Hayashi. Making connections is vital as I continue to grow my career as a Civil Engineer. These elected officials are the ones who will create and pass laws and bills that will affect my future. Staying connected with them and letting them know about my future career plans for engineering and sustainability is important. Hopefully it will open their eyes into supporting these important areas for future generations' futures. It was pretty crazy at the Hawaii State Capitol seeing so many people meeting with these politicians sharing their concerns and ideas. It showed me that to make things happen, one must go and meet those who will be taking lead in ordinances that will make or break those concerns and ideas to happen. It was touching to see local people making the effort to ensure that the people's voices were being heard. To me, it is very important that the people's voices are heard so politicians will know what the people want and need, and what they, as politicians, can do for the people. The politicians, and the people they are representing, must be connected and must work together to better their state and country's livelihood. 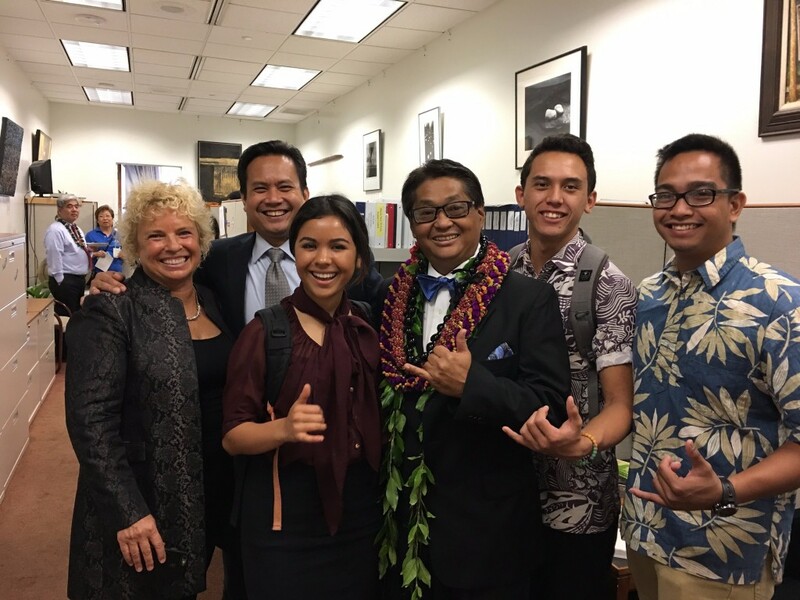 I am very thankful for this SHYLI experience and I look forward to staying connected with the politicians for the future of Hawaii.